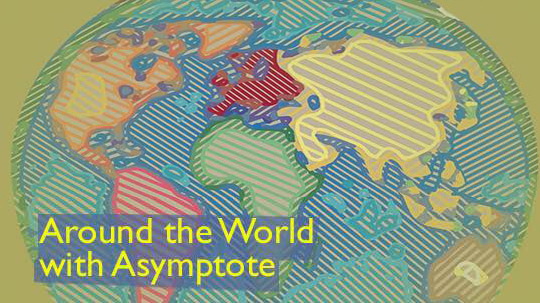 This Friday, we present three very distinct reports from the world of literature. Slovakian Editor-at-Large Julia Sherwood looks back at what was a great year of Czech literature in translation and gives us a sneak peek at what to look forward to this year. Her Iranian colleague Poupeh Missaghi reports on language-related issues in a human rights Twitter campaign. And finally, the UK Editor-at-Large M. René Bradshaw tells us where to head for great readings in London this month and next. Last year proved to be a big year for Czech literature in English translation, with no fewer than eighteen publications from eight different presses at the latest count. They include, to mention just a few, Worm-Eaten Time, poet Pavel Šrut’s elegy for his homeland after the Soviet-led invasion of Czechoslovakia, translated by Deborah Garfinkle, and symbolist poet Jaroslav Durych‘s (1886-1962) 1956 novella God’s Rainbow on the expulsion of the German-speaking population from Bohemia after World War II. First published in censored form in 1969, it is now available in full in David Short’s translation as part of Karolínum Press’s Modern Classics series, which also features Eva M. Kandler’s translation of the World War II literary horror The Cremator by Ladislav Fuks, a study of the totalitarian mindset that still resonates today (extract in BODY Literature), and served as the basis for one of the key films of the Czech new wave, directed by Juraj Herz. 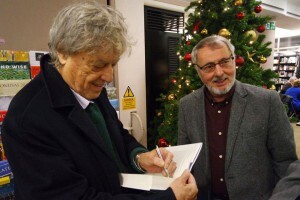 On 30 November, a packed audience at the launch of Antonín Bajaja’s Burying the Season (also translated by David Short) at Waterstones Piccadilly in the heart of London included the playwright Tom Stoppard. Stoppard’s father came from the town of Zlín, the setting for this novel depicting the early years of communism in Czechoslovakia. Czech literature scholar Rajendra Chitnis introduces the book as part of an Istros Conversations podcast on Audioboom, while Michael Tate of Jantar Publishing discusses on Czech radio the challenges of bringing Central European literature to English readers. World Literature Today picked Czech writer Magdaléna Platzová’s The Attempt as one of its Notable translations of 2016, characterizing it as “historical fiction at its best”. In an interview with the Czech cultural bi-weekly A2, the novel’s translator Alex Zucker points out that while more books by Czech authors are now being published than ever before, they don’t necessarily reach many more readers since—like translated literature in general—quite a few are brought out by small independent presses and are therefore not visible in major bookshops and rarely reviewed. In 2017, we can look forward to Zucker’s translations of two the most acclaimed contemporary Czech writers: Jáchym Topol’s Angel Station is due from Dalkey Archive in May, and Petra Hůlová’s taboo-breaking Plastic Three Rooms will be brought out by Jantar Publishing. Budding UK translators keen to be part of this unprecedented boom in Czech literature in English can participate in the fourth annual international competition for young translators, who this year are asked to tackle an excerpt from Bianca Bellová’s The Lake by 31 March (see their call for submissions). Budding Czech-to-English translators can also dip into the treasure trove of tricky issues, complete with solutions generously shared by Melvyn Clarke, in his blog post Translating Hrdý Budžes. Acclaimed writer Zuzana Brabcová, who sadly passed away in 2015, was posthumously awarded the Josef Škvorecký prize for her haunting last novel Voliéry [Aviaries]. And as the year drew to a close, scores of students and literature lovers mourned the loss of the legendary Fišer bookstore in Kaprova Street near Prague’s Old Town Square, which closed its doors after selling books since the 1930s.